It’s estimated that roughly 65 per cent of Canadians have some sort of private health care plan, most of which are provided through an employer who contributes a percentage of the cost. 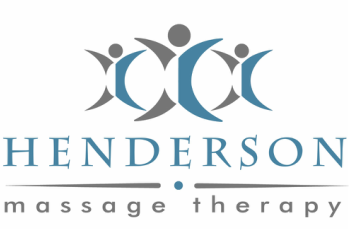 Many of these plans cover massage therapy, and these services can be extremely beneficial for a number of reasons. If you’re unsure about whether or not massage therapy is available to you through your health plan, consult with your benefits administrator to see what your package includes. If your benefits package includes massage therapy, then you may want to consider scheduling a regular monthly massage — because the rewards of massage are extremely rewarding. • Postural stress: All the sitting that many people do, whether at their desk or while driving, tends to manifest in the shoulders and back. • Muscular pain: Massage therapy helps improve circulation while easing muscular pain and tension. • Anxiety and depression: Massage has been shown to provide therapeutic benefits that leave people feeling relaxed and happy, with reduced levels of stress, thereby helping with anxiety and depression. • Better sleep: Massage brings about a state of relaxation, which contributes to improved sleep. It also helps people who are undergoing treatments like radiation and chemotherapy. • Improved immunity: Massage therapy has been shown to boost one’s white blood cell count, one of the body’s defense mechanisms against disease. It also increases immune function for people living with HIV. • Reduces headaches: Massage can reduce the frequency and severity of tension headaches, including recurrent chronic tension headaches.